Why Were Hellfire Missiles Shipped From Beirut Aboard A Passenger Jet? Something very strange is going on with a pair of Hellfire air-to-ground training missiles. Loaded onto a civilian airliner in Beirut, Lebanon, their paperwork said the final destination was Portland, Oregon. But before they could get there, the plane stopped in Belgrade, Serbia, for reasons that aren’t entirely clear right now, where Serbian police and canines sniffed them out. So what the heck is going on here? Lockheed Martin officials told KGW the company has had no contact from the federal government about the missiles. It’s Portland office deals with energy, not weapons. Oregon also doesn’t have any military units that use AGM-114s, nor does any local industry directly associated with the production or transfer of the missiles come to mind. The closest military units to Portland that employ Hellfire missiles are located up at McChord AFB in Tacoma, Washington. What remains uncertain is if this was an official shipment that went awry or were these missiles being transferred with illegal intent to a private party. Although the later of the two is unlikely, if it is the case the implications of such a event would be much larger than if this whole thing was just some logistical mistake made by legitimate handlers of these types of weapons. The FBI has no information on the issue as of yet, but the missiles are being inspected to find out if they are indeed live or training units and an investigation into how they ended up in an airliner in Belgrade is underway. 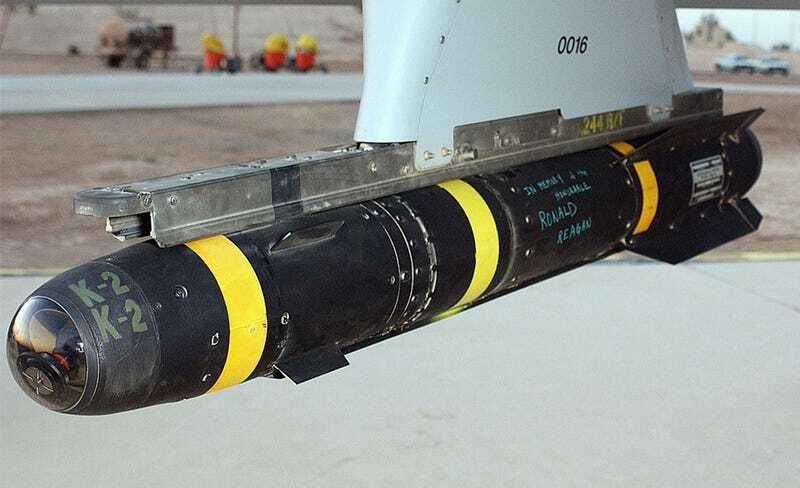 The Hellfire, designed as an anti-tank weapon for attack helicopters in the mid 1970s, has evolved into one of the most highly used missiles of any type in the world. It found particular success in the global war on terror, with the missile becoming the primary weapon of America’s Predator and Reaper unmanned aircraft. Today there are many variations of the Hellfire with various guidance concepts and warheads and can be launched from ground vehicles, aircraft and ships. With the missile’s great popularity has come controversy. It seems that as Hellfire backorders continue to be numbered in the thousands of units, the Pentagon has had trouble keeping track of all the Hellfires floating around. One such missile, well at least an inert captive training version of it, ended up in Cuba recently. The missile was eventually returned but it was an embarrassing and high-profile screw-up for the Pentagon to endure say the least. We will keep you updated as soon as we have any more information on this deeply strange incident.